i've really been pondering the ideas of creating mini journals lately. something small and simple like a mini moleskin. it's a tricky thought though because i don't plan to bind the books myself - that's not my bag*. but i don't quite feel comfortable say, buying a moleskin, embossing an image on the front and then re-selling in (i suspect there are some serious legality issues there as well). i guess it will just be about finding the right source. 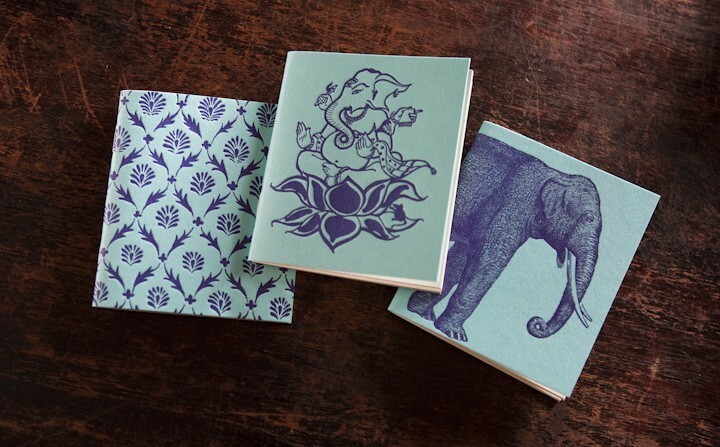 i'm considering scout books, but they have a fifty minimum order (does there happen to be fifty readers who would like to buy an isavirtue journal?). 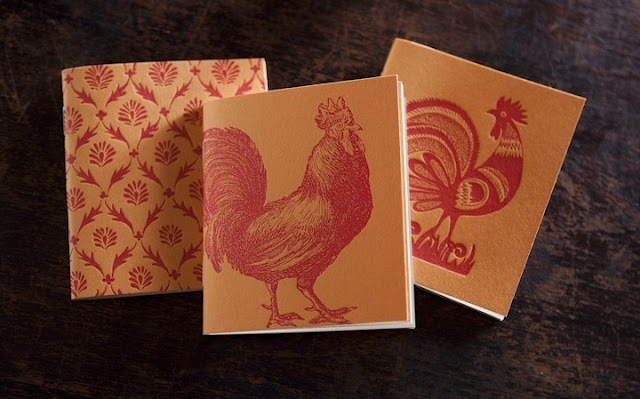 for now, i will just ogle these adorable letter press pocket books by bison books on etsy! i love how the designer has chosen to place a darker blue on a blue back ground and a darker orange on an orange background. you get the picture! i've added some recipe cards by the same company for good measure because they are incredibly beautiful!